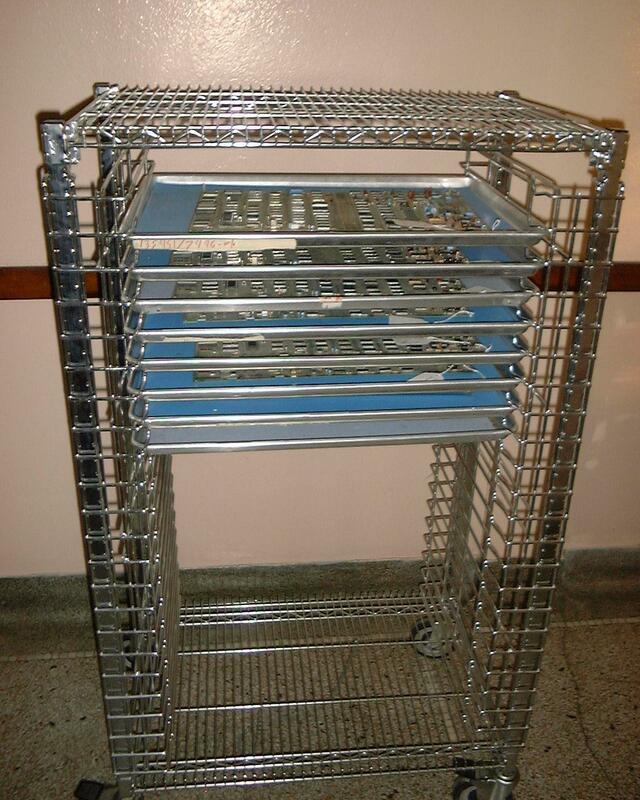 One of our ESD-safe storage racks. This is how we store your boards once they arrive. Notice the drag chain at the base to dissipate any charge that accumulates. Each tray has a static-dissipative mat which makes sure that any charge already on the PCB bleeds off gradually instead of all at once in a spark.